DALIAN, CHINA / ACCESSWIRE / November 2, 2018 / This week, CCID, the research arm of the Ministry of Industry and Information of China, released its sixth issue of the Global Public Blockchain Technology Assessment Index (GPBTAI) in a live-streamed edition of 'Chain Reaction VI.' For the very first time, the research institute also invited a newly debuted public blockchain, EKT, to discuss how promising new projects like EKT could become a component for the well-recognized index. The latest issue is consistent with previous results. EOS, ETH, and BitShares kept their top spots, earning total scores of 150.5, 136.3 and 110.6, respectively. BitCoin ranked 19th, down 3. The most notable improvement is NULS. Its ranking has jumped 11 places to the ninth, and become a Top-10-ranked project for the very first time. With no major technical updates occurred during the previous month for most of the blockchains, the underlining-technology sub-ranking remains unchanged. The current issue of the index had significant improvements in its evaluation methodology for development tools. The assessment now takes into considerations of Application Programming Interface (API), Software Development Kit (SDK), Remote Procedure Call (RPC), Smart Contract and other development offerings. With regard to innovation, Bitcoin, has won this sub-category six times in a row, while ETH, EOS, NULS, and Cardano claimed spots 2-5 respectively. It is worth noting that NULS, which had just joined the index a couple of issues ago, had become the public blockchain with the most improvement in a single category. Overall, blockchain projects with higher performance and stronger support for application development achieved better results in this round of technology assessment. The result also reflects the current trend of global public blockchain technology innovations. At present, EOS and ETH are considered leaders of the global blockchain industry. As a new addition to this release, CCID opened up its communication channel and allowed innovative newcomers to establish dialogues with the research institute. Dr. Songtao Pu, the head of CCID's assessment team, invited Xun Zhou, CEO of the EKT project to join the release ceremony. EKT is a high-performance public blockchain with a unique 'Multi-chain, Multi-consensus' approach. It is also an open Dapp development platform that has overcome a couple of major design flaws that plagued some popular Dapp platforms. Ingeniously separating the transactional token chain from the DApp runtime application chain, EKT solved Ethereum's embarrassing performance problems exacerbated by the viral DApp game Crypto-Kitty. The separation of two purpose-oriented blockchains dramatically improves the performance of on-chain DApps. Moreover, the transactional token chain can also achieve a parallel cross-chain architecture with its own multi-chain, multi-consensus structure. The issuer of a specific token can set up the consensus mechanism for the token chain according to its individual needs, resulting in a much more flexible setup. At present, the main network of EKT has been launched, and more features will be gradually introduced. 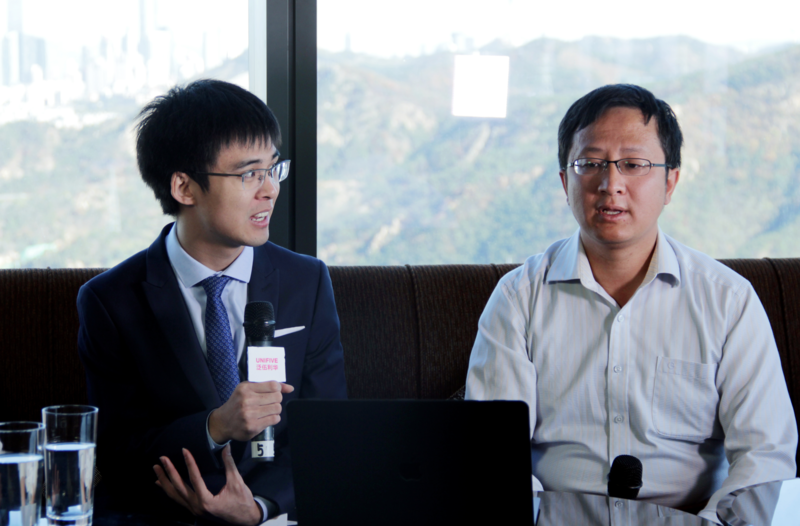 As a leading expert of technology-focused public blockchains, Dr. Pu is most concerned about how the next generation public blockchains like EKT can be assessed equitably in the technical ranking. The CCID team contemplated whether there should be a separate list for emerging public blockchains, and how the assessment can be carried out so that different types of blockchain projects can compete fairly. Dr. Pu emphasized that the selection criteria of CCID's GPBTAI are well established and transparent. Any qualified, highly visible public chain with a good impact will become evaluation objects for the index.